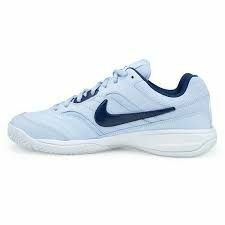 These shoes are designed for the kind of quick, sure-footed moves you need to keep the opposition in retreat. 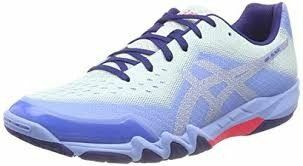 Featuring a breathable mesh upper and synthetic single-layer SPRINTSKIN for optimal support without adding weight, these durable low-cut shoes offer a soft and flexible forefoot for comfort and speed. 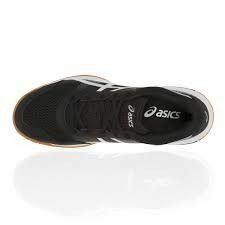 An ADIWEAR outsole provides optimal cushioning and lateral stability. 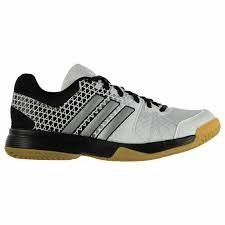 The Adidas Court Stabil 12 Shoe offers high-performance stability, midfoot integrity, and motion guidance. 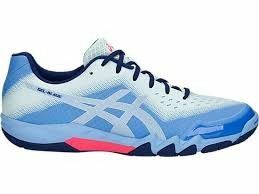 On the upper is the lightweight SprintWeb TPU layer that resists abrasion and aids stability during multidirectional movements. 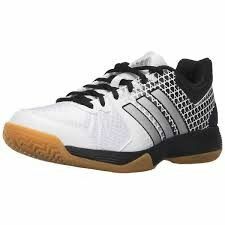 The non-marking Top Grip rubber outsole provides excellent traction on the court. 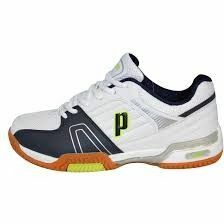 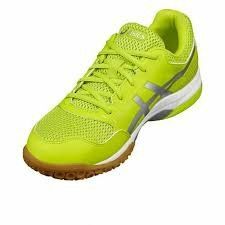 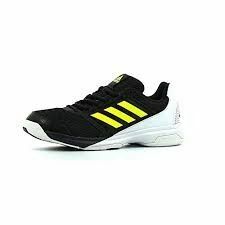 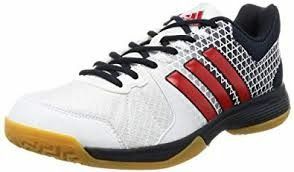 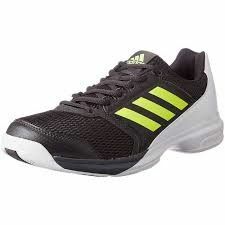 The Adidas Ligra shoes for fast-paced, indoor court activities like volleyball, squash, and racquetball. 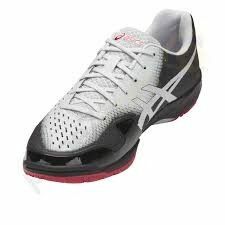 A breathable mesh upper and inner lining create a comfortable environment while playing. 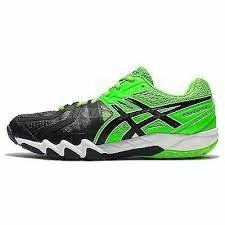 The ADIWEAR™ outsole provides exceptional lateral stability, cushion, and traction for easy movement on any indoor surface. 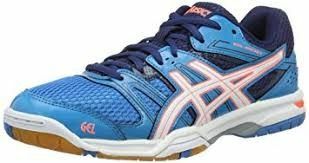 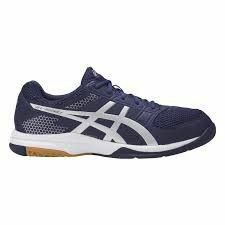 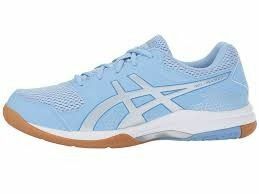 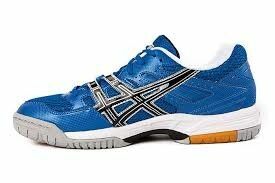 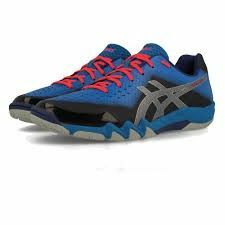 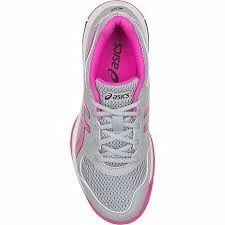 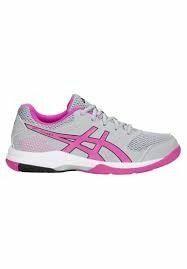 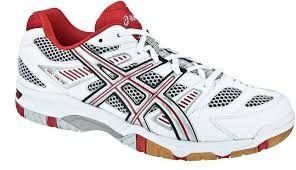 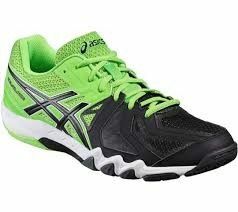 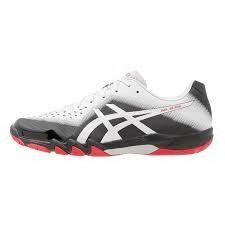 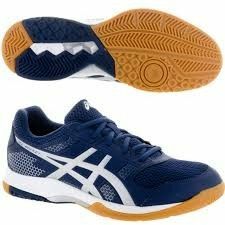 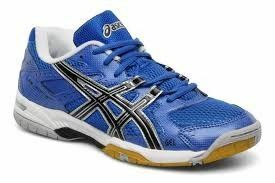 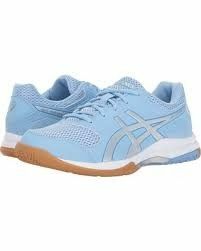 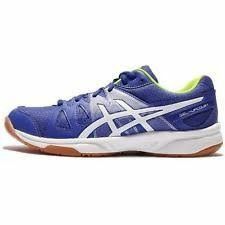 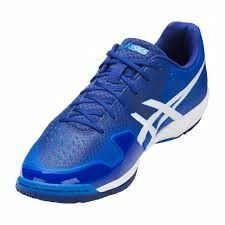 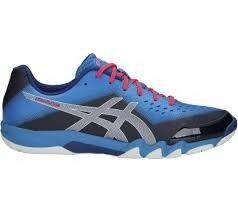 Asics Gel Blade 6 court shoe with the latest in technology to provide for the best performance on the court. 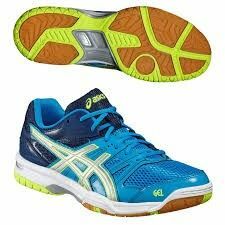 Asics Gel Blade 5 court shoe with the latest in technology to provide for the best performance on the court. 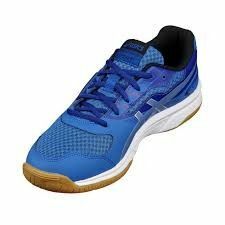 Court enthusiasts will appreciate the Gel-Domain® 3 for its combination of responsive cushioning and medial/lateral stability. 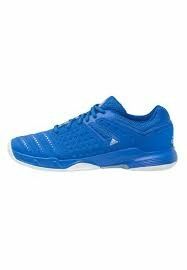 Ideal for the aggressive player seeking a shoe with looks to match. 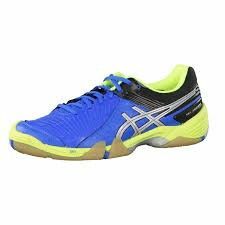 With exceptional fit, enhanced traction and upgraded, shock-absorbing cushioning, the Gel-Rocket® 8 is a top-level shoe for intermediate court players. 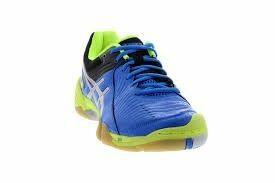 With exceptional fit, enhanced traction and upgraded, shock-absorbing cushioning, the Gel-Rocket® 7 is a top-level shoe for intermediate court players. 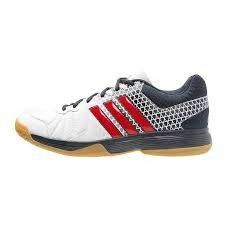 The shoe of choice for recreational court athletes everywhere is now even better, thanks to a lighter-weight upper and the enhanced traction provided by more gum rubber on the outsole. 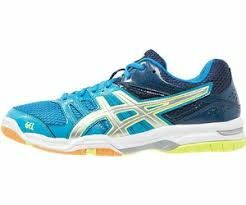 An incredible value, loaded with Asics signature performance features. 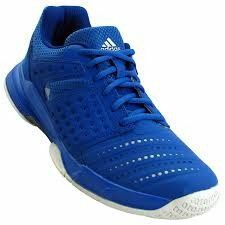 The Gel-Tactic™ shoe features a combination of synthetic leathers and breathable mesh vents, designed to resist wear and tear from the court. 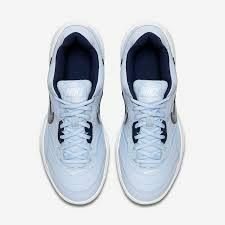 Our Rearfoot Gel® Cushioning System delivers plush underfoot comfort, while the midfoot Trusstic System® increases forefoot stability. 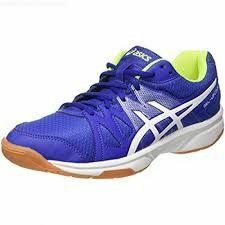 The Gel-Upcourt™ shoe features a full-length gum rubber outsole for excellent traction on the court. 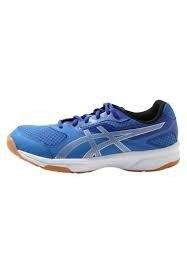 The Rearfoot Gel® Cushioning System provides enhanced cushioning, while the combination of synthetic leather overlays and mesh underlays promote breathability and forefoot comfort. 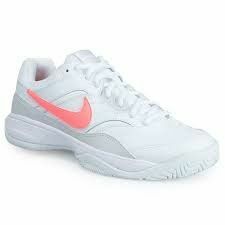 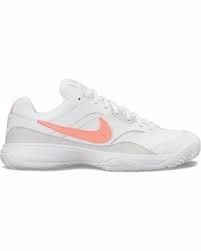 The Nike Court Lite is built for total comfort, with a premium upper and a durable outsole designed for hard courts.